Rob cherished ocean wildlife and inspired others to do the same. Born in Toronto, he started taking underwater photographs at age 13, a skill he turned into a career as a wildlife photojournalist and filmmaker. His critically acclaimed documentary Sharkwater (2006), about how the global demand for shark fins drives species to extinction, won dozens of awards and created mass awareness and action for shark conservation. 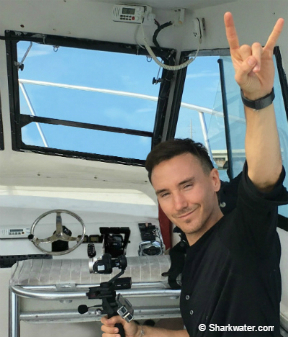 Rob died scuba diving off the Florida Keys in January 2017 while working on his next film. He was just 37. Please donate below and WWF-Canada will hold the proceeds in a fund to help carry on Rob’s legacy. A tax receipt will be issued. Anonymous Donation: Yes, I would like to make this donation anonymously.